Many people who present the children's sermon in the Sunday morning worship service struggle with using appropriate and significant homilies. 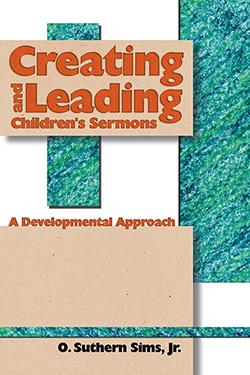 Creating and Leading Children's Sermons contains relevant information on human growth and development theory and how such relates to the preparation of sermons and other religious discussions for children. In an effort to learn more about the use of the children's sermon during morning worship services in mainline Protestant churches, a study was conducted during the 1997-1998 academic year. The primary purpose of this study was to investigate, by use of a survey, the extent to which the Episcopal, Presbyterian USA, Southern Baptist, and United Methodist denominations in Florida, Georgia, Texas, and Virginia use children's sermons in the Sunday morning worship service. Following a section on preparing children's sermons according to developmental guidelines, sixty (60) model children's sermons and homilies are presented: forty (40) general topic sermons, thirteen (13) "church words" sermons, and seven (7) homilies for special days. With the possible exception of some data from research results, the material is presented in easy, reader-friendly language. O. Suthern Sims, Jr., is Professor of Developmental and Educational Psychology in the School of Education, Mercer University, Macon, Georgia.